Bateig natural stone at Marmomacc 2017. Visit our stand at Hall 6 E2! The 52nd edition of Marmomacc 2017 will take place at the Verona Exhibition Center at the end of this month. From the 27th to the 30th of September, a wide range of companies will attend the leading international trade fair for stone, design and technology. And, as on previous occasions, Bateig natural stone will be part of this professional meeting. Marmomacc 2017 is considered a leading international marble and natural stone trade fair. Just in 2016 edition, 67.000 visitors from 146 different countries attended the event. In this meeting, professionals from different sectors such as: machinery, tools, architects, engineers, designers, marble & natural stone productors and distributors, share their views and opinions on the matter. And -as usual- seminars, conferences, experimental workshops and exhibitions will be part of this new edition programme. Bateig natural stone has arranged everything to attend this annual appointment, as in the previous 5 years. 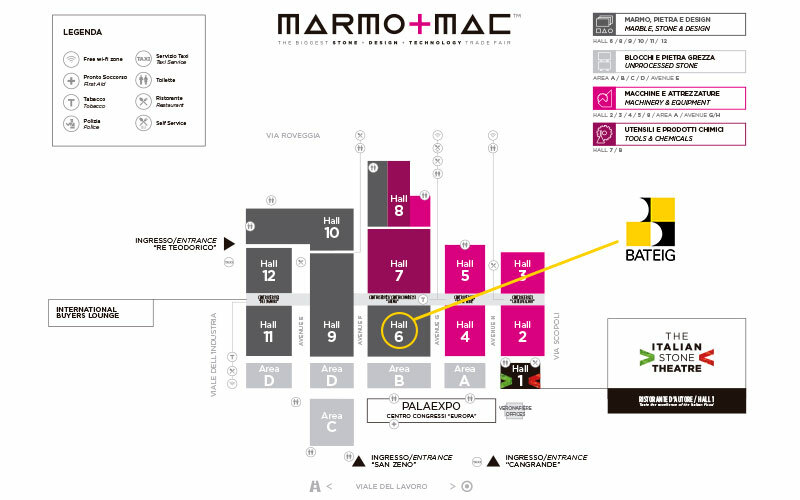 We do know the importance of this meeting and, for this reason, you will be able to find Bateig natural stone at Marmomacc 2017. We don’t want to miss the opportunity of knowing the current trends and advances in the area and meeting new companies and professionals. Our stand, once again, will be located in Hall 6 E-2. There, we will exhibit our 6 natural stone varieties, which come from our own and exclusive natural stone quarries. 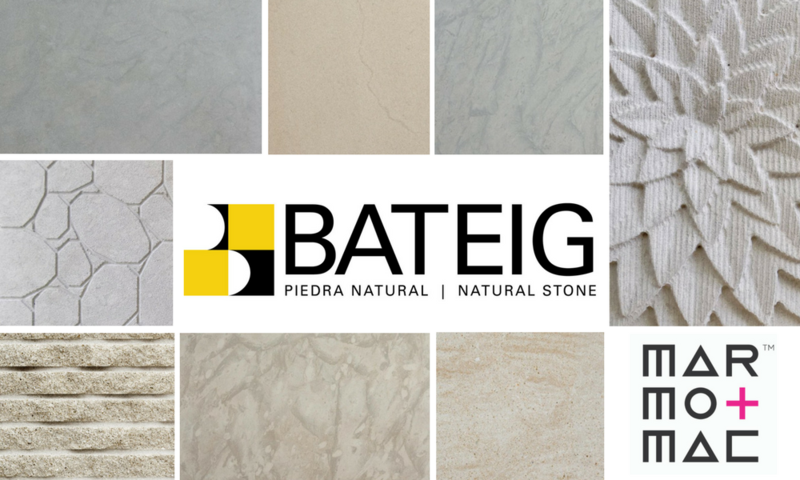 From 09.30 am to 06.00 pm, and on Saturday from 09.30 am to 05.30 pm, you will be able to find out more about Bateig natural stone and you will get to know why it is an amazing material for any king of architectural project. Our team will be in charge of showing you some of our most emblematic and international projects. Bateig natural stone is a company that is specialized in the exploitation, distribution and installation of stone. We have more than 138 years of experience in the sector and have been active on an international basis since 1981. For all these reasons, Marmomacc is the perfect place. There, all the most important companies and professionals from the marble and natural stone sectors get together. As a consequence, it is an unavoidable appointment that you should not miss if you are part of this sector. Besides, you can buy your tickets in advance online, getting a 33% off, or validate your invitation or promotional code. You know, from the 27th to the 30th of September, Bateig natural stone will be at Marmomacc 2017. ¡We will wait for you at Hall 6 stand E-2!